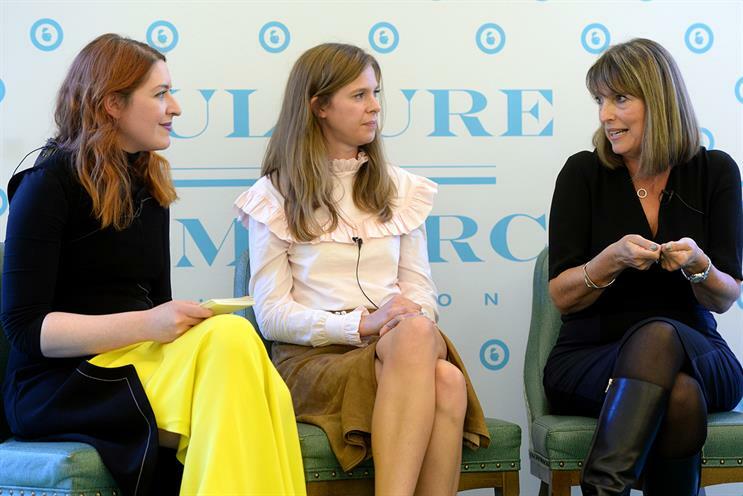 Women do not need to defeminise their behaviour or language, because to be a success in business, people need to be themselves, easyJet chief executive Carolyn McCall said yesterday. She was speaking at a panel session held by Wacl and Grazia at Fortnum & Mason during Advertising Week Europe on Monday. McCall said: "You need to be comfortable with yourself to be confident. Of course in different situations you have to have different behaviours. You sometimes have to be a lot more assertive in meetings, but that’s a change of tone, not character. "If you defeminise, you are changing yourself. Work is hard enough for many people. If you change yourself to adapt to that, it’s even harder," she said. McCall was on the panel with the Grazia editor, Natasha Pearlman, the chief executive of Virgin Money, Jayne-Anne Gadhia, and the freelance journalist Kate Wills. Gadhia agreed: "We should accept people for whoever they are, understand what they need to be successful and support line managers to do this." All of the panellists said that it was difficult to make generalisations based on gender, because every individual is different. Also many of the issues, such as work-life balance, should also apply to men. Pearlman said: "If you want true equality, where is that battle for men? Are they being encouraged to find balance?" But McCall said that she has noticed a difference in how men and women behave during appraisals – both at easyJet and in her previous companies like Guardian Media Group. Women talk about what they have not done first. Men talk about their achievements first. She urged women to speak to their employers about what they needed to do their jobs well. "Many women will leave a company rather than having a conversation about a different type of working." Gadhia said that in a recent research study, women said: "I don’t want to have to argue for my pay and performance. I just want people to recognise that I perform well, and recognise me for who I am." Gadhia admitted that she has a tendency to ruminate: "I do feel guilt that isn’t necessarily healthy... So I have to talk to myself to feel confident about it." McCall said that to let go of guilt, women needed to be comfortable with themselves. They also need "a working environment that gives you time to rebalance your life when you need to", such as after a period of travel or pitching: "You have to get equilibrium back and you need a culture that allows you to do that." Often innocent seeming phrases are laden with prejudices. Wacl president Lindsey Clay said in her closing speech: "There is an incredible pressure on women to be involved in childcare, and pressure on men not to be." This shows in language. Wills questioned why the phrase "working mum" is never applied to men – "working dad". "Parenting is a shared project," she said. Pearlman agreed that cultural norms often imply women have domestic responsibility: "I couldn’t have achieved what I have without my husband giving up work. It should be perfectly acceptable to be the dad or the mum to be at home." McCall joked that actually, when she is explaining why she can’t make an event or do something related to her children, she adds that she is a "full-time" working mum. But when she was first a CEO, she was asked regularly in media interviews about how she manages to do her job and look after her children. She would respond: "Are you asking Stuart Rose [then Tesco CEO] that?" She added: "On occasion – women get called aggressive when they are being assertive. I tell my team just ignore that." Which FTSE 100 boards have female directors?